Hello there! 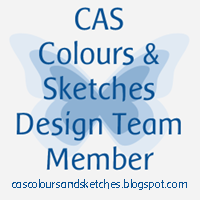 It’s the fourth Tuesday of the month, which means it’s sketch challenge time again at CAS Colours & Sketches. 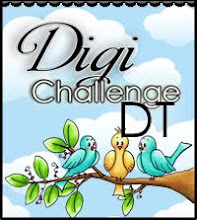 It’s a pretty interesting one and I hope our challenge participants will have fun with it! I decided to substitute a butterfly for the circular shape. 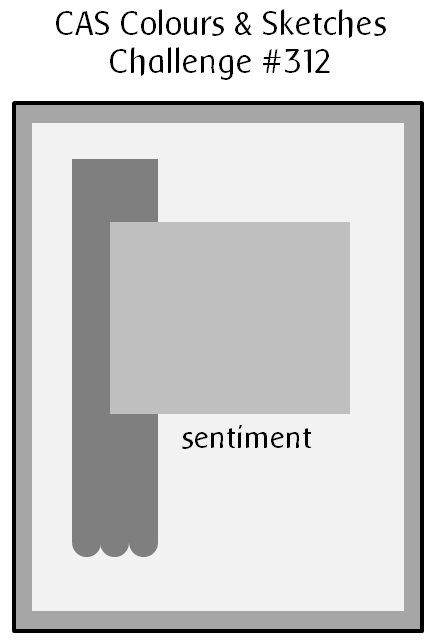 It’s not exactly circular but it doesn’t take away from the main idea of the sketch. 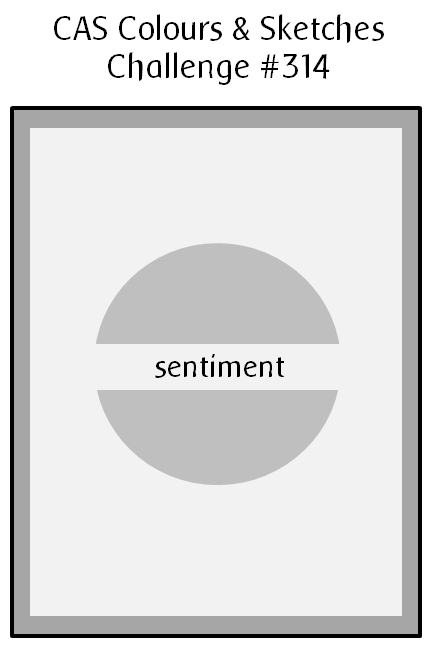 I started out by cutting the focal panel to size and putting down a piece of washi tape as a mask for the sentiment area. I’d missed out on one of the CC&S color challenges earlier this month, so I chose those colors as my color scheme. 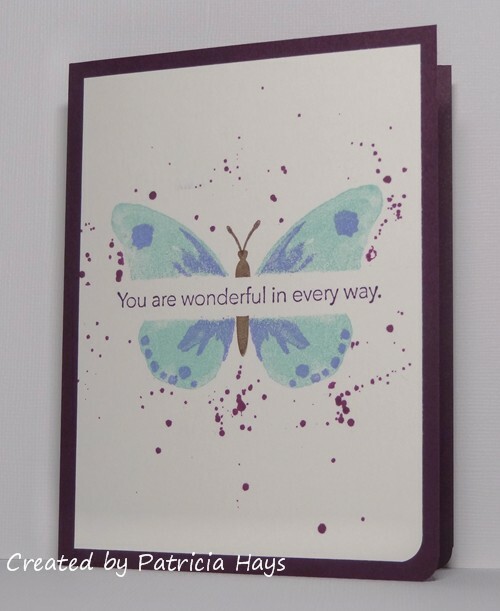 I stamped the butterfly using the two lightest colors of the combo. 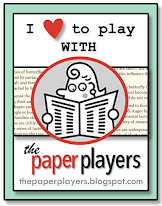 I knew I would use the third color for the sentiment and the card base, but I wanted to incorporate it a bit more. So I masked off the butterfly, dipped a paintbrush into that color ink, and splattered it around the butterfly. When that was dry, I peeled off the masks and stamped the sentiment. 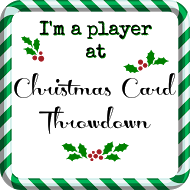 All that was left to do after that was attach the focal panel to the card base, but I decided to round the bottom right corner first to give the card a little extra visual interest. Be sure to check out what the rest of the CC&S Design Team has done with this sketch – they’ve made some amazing cards! Then give it a try yourself. 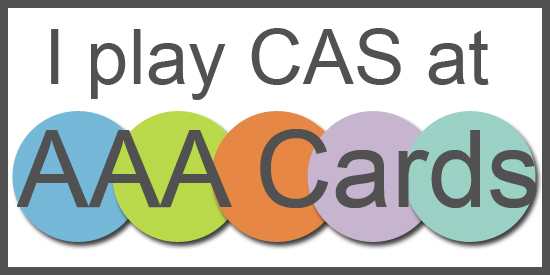 You have until 6:00 p.m. Eastern time Monday, April 1 to link your card at the challenge site. Thanks for stopping by today! 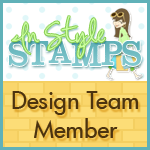 All supplies are from Stampin’ Up unless otherwise indicated. 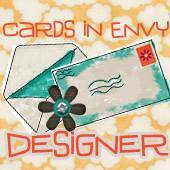 Posted by PH in VA at 8:00 am Cards, CAS Colours & Sketches, Stampin' Up! Hello! I’m sorry I’ve been posting so sporadically recently. I’ve been away from home off and on over the last several weeks. 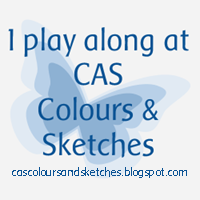 It’s time for the first sketch challenge of March at CAS Colours & Sketches. 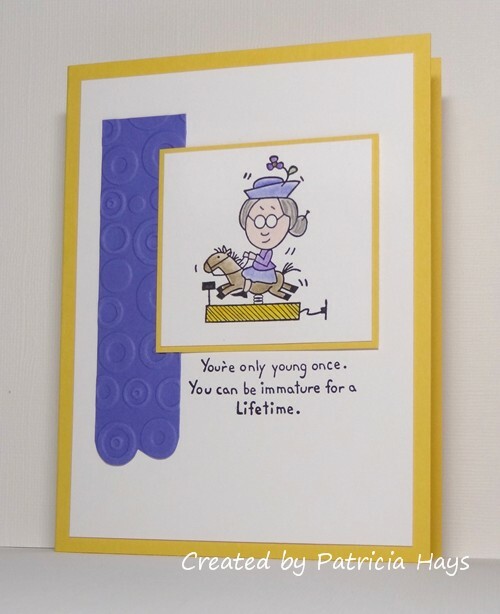 It just seemed appropriate that my card for challenge #312 which starts on the date 3-12-19 (using American date formatting) should go to someone whose birthday is March 12. 🙂 I wasn’t feeling like going my usual route of butterflies or nicey-nice stuff and opted for a slightly snarky, humorous image and sentiment. I hadn’t used this stamp from this set yet so this was a little challenging for me. I colored the image with colored pencils blended with odorless mineral spirits. 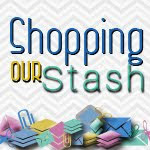 I chose the purples in the color scheme based on the folders of cardstock I had out on my desk from my attempt to create something for last week’s CC&S challenge, and then I added the yellow as a nod to the school colors of the card recipient’s alma mater. The dry embossed strip was a scrap I found in one of my cardstock folders, left over from a long-ago project, but perfect for today’s card. I trimmed the bottom edge following the contours of the embossed circles as a way to incorporate the scalloped edge on the sketch. Thanks so much for stopping by today! I hope you’ll make a card with this sketch and share it with us at CC&S. 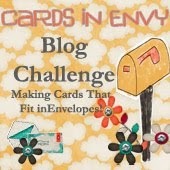 You have until 6:00 p.m. Eastern time Monday, March 18 to link your card at the challenge site.